Loftleiðir (Icelandic Airlines) Airspeed Consul TF-RPM, Crow Stones Edge. Cheetah engine. 12 April 1951. 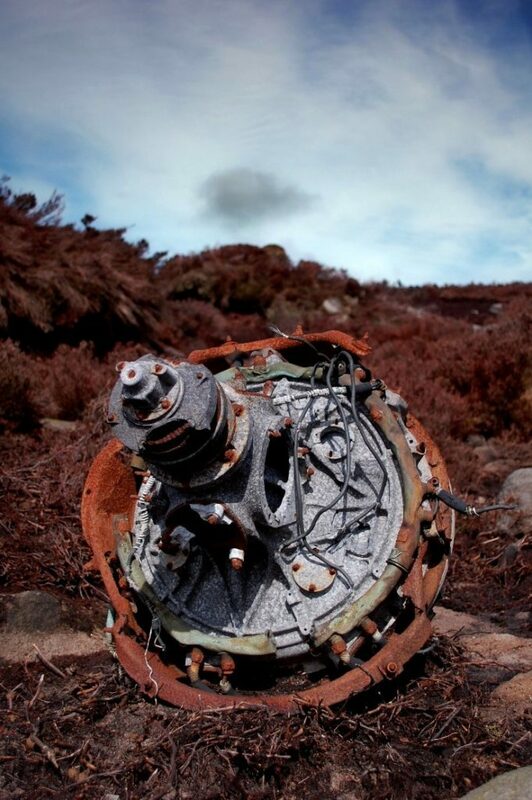 Loftleiðir Consul TF-RPM was on the return journey to Reykjavik when it crashed in the Peak District, 40 miles off track. The flight plan had included refueling stops at Liverpool and Prestwick, but strong westerly winds may have pushed the Consul to the east and over the hills. It is probable the pilot, Captain Magnusson brought his aircraft down through the cloud expecting nothing but clear air and Liverpool beneath him. Instead the Consul struck the moors north of the Derwent Valley at cruising speed with the loss of all 3 on board. 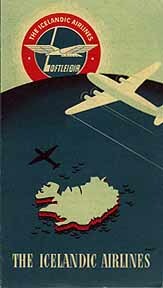 Icelandic Airlines operated between 1944 and 1973, until merging to become Icelandair. Below; the main part of the wreckage. The other Cheetah engine was partially buried in the middle of this lot, and was wrapped in polythene; someone has plans for it, clearly. 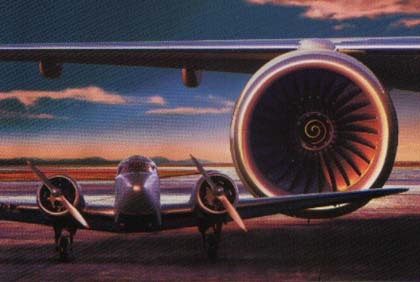 Below; An Airspeed Consul and a more modern airliner. 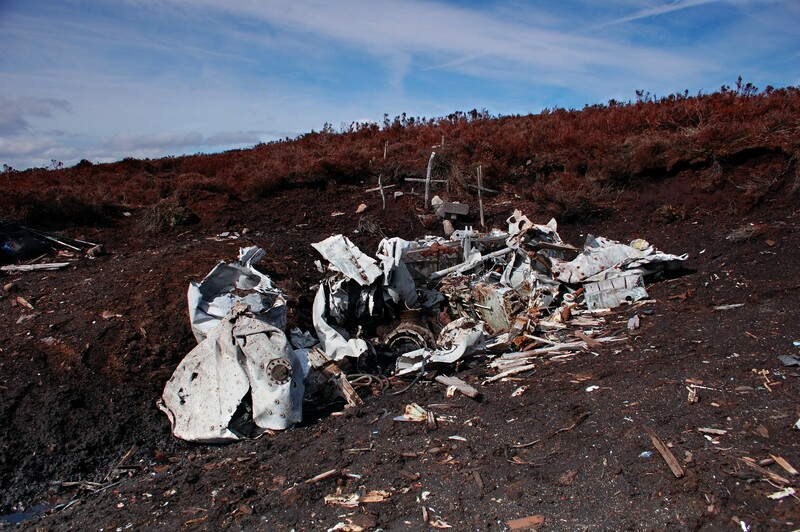 Crash occured the same day as two Gloster Meteors crashed on Black Hill, just 9 miles to the north west. Tail section of one of them. Click for more. my boy is going to Iceland in June hope their Airlines are a bit more safe ! That seems like quite a sizeable amount of wreckage to have survived out there for such a long time. Interesting story too, could be a warning considering the amount of budget airlines around atm? Fair old chunks of metal still around. And the wreckage still remains.!!! Great photos. Great fond Ian and thanks for the in-depth info. Can only imagine what they were thinking. Help me here Ian, I’m a little naive. How come these wreck sites weren’t cleaned up when they happened? Weren’t they investigated and the wreckage gone through, like they do today??? 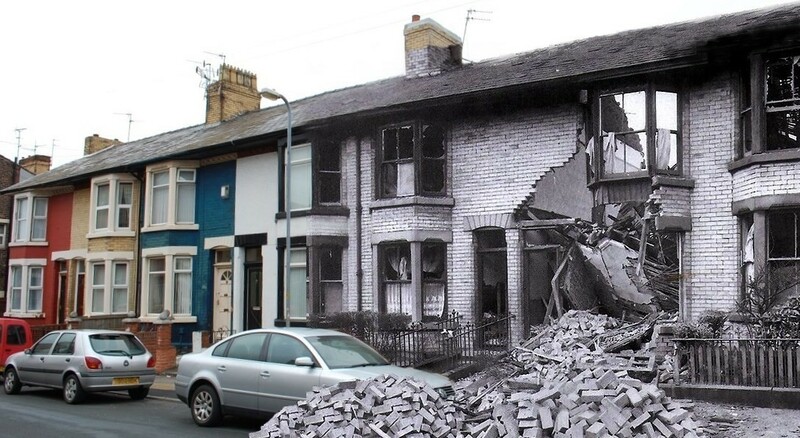 Amazing how much of it is still there. I guess it must be pretty remote. So how they gonna get the engine off the moor I wonder. And what for? The plot thickens…..
Good to remember the passenger and crew….. Thanks everyone, always appreciate your thoughts on these photos more than any of the others. I suppose there is a normal / decent amount of wreckage at this site, some of the more remote ones have much more, others there is nothing left at all. English Heritage estimate there to have been in excess of 10,000 military plane crashes in the UK between 1939 and 1945 (I think they mean the UK and not just England) a figure which takes into account Allied and Axis aircraft. Plane crashes happened often then, and salvage crews would strip anything sensitive or secret, any human remains where possible and also remove ordnance or detonate it. Then the wrecks were sometimes carted away on long flatbed "Queen Mary" trailers, though more hard to reach wreckage or stuff that could not be moved was often just broken up and burned or tumbled into gullys or buried so as to prevent other passing aircraft reporting a known crash site as a new incident. But beyond that… These were different times and stuff just remained on the hills. 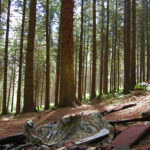 Over the years souvenir hunters lift it and take it home with them, starting with more desirable objects such as components, or swastikas from Luftwaffe aircraft, or nose art, so the remains diminish, in spite of them now having legal protection. It is one reason we photograph and record the histories here; as has been pointed out, this is the last chance to see this stuff, soon there’ll be nothing left at all. As for the engine being wrapped in plastic, we think that someone is removing bits of it over time, there is evidence of that happening. It was purposely buried, hidden under the rest of the wreckage. Perhaps it is going to a museum? Doubtful, and even then, remains in museums often look rubbish in my opinion, shoved in dusty corners where no-one pays any attention to them. 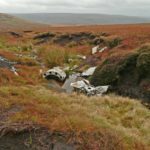 These remains have become part of the landscape and should be left where they are. But yes, for the most part the authorities these days are keen to clear up wreckage for their investigations. Super shot and great detail into the background Ian. Very sad. Walk a year in my shoes, share 100 ipod trax with me, see whats up my street or visit my world beyond the red. Another one for the collection Ian…. thought about doing your own book? you must have quite a collection of photographs that you could incorporate alongside written reports in the public domain? You have got me hooked now Ian. Missed this earlier , Some great research here Ian , particuarily like the poster . I hadnt realised that the meteors had crashed the same day , a busy time for the rescue services in the Dark Peak then.